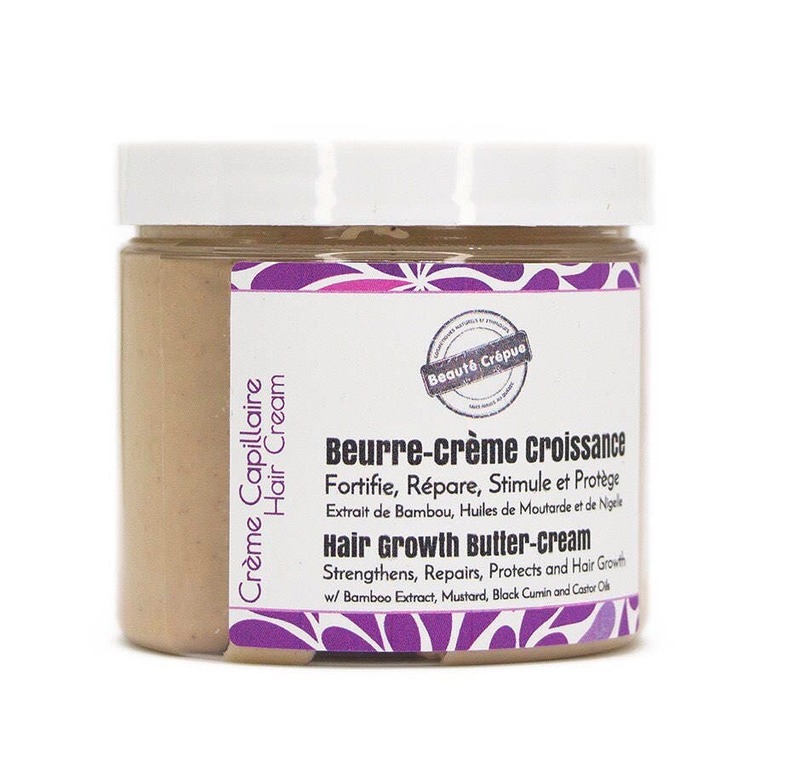 Our Hair Growth Butter-Cream is a leave-in hair conditioner cream with multiple properties. It softens and detangles the hair. 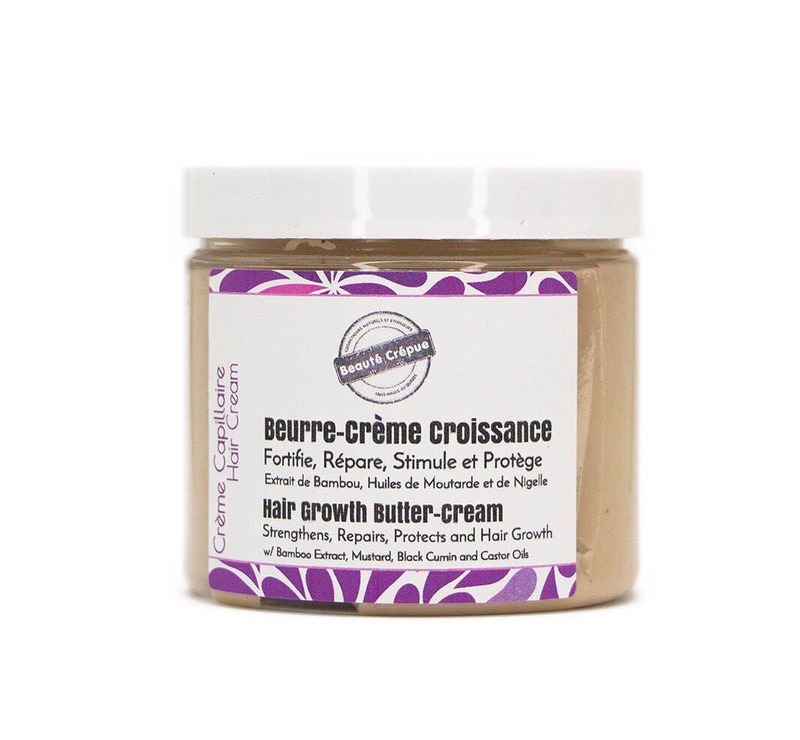 Rich in butter and oils, bamboo extract and aloe extract, the Hair Growth Butter-Cream nourishes, moisturizes and supports elasticity so that the hair can resist to breakage during detangling. 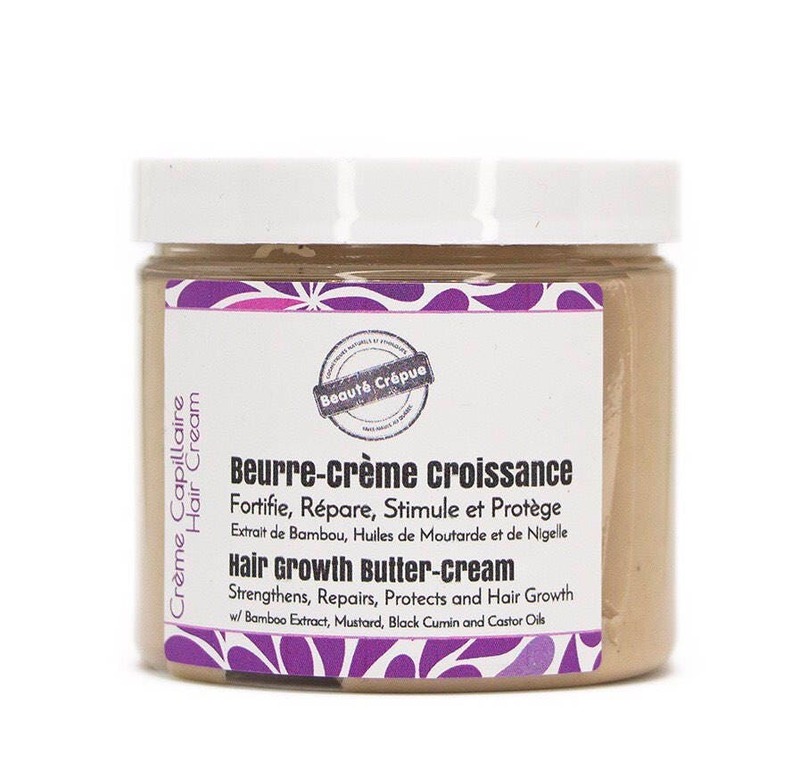 With active ingredients such as Provitamin B5 (panthenol), MSM and bamboo extract, our Hair Growth Butter-Cream repairs, strengthens and protects the hair from daily aggression. It provides a protective layer that improves the appearance of split ends. It stimulates blood circulation in the scalp by the presence of the stimulating oils like oil, black cumin oil, mustard oil, and rosemary and peppermint essential oils for an invigorating experience. Ingredients: Distilled water, organic aloe juice, mango butter, castor oil, black cumin oil, organic mustard oil, sweet almond oil, grapeseed oil, avocado oil, BTMS (hair conditioner), murumuru butter, babassu oil, MSM, Provitamin B5 (panthenol), bamboo extract, essential oils of rosemary, peppermint and ylang ylang, sodium benzoate (natural preservative), potassium sorbate (natural preservative), vitamin E.